Replication is the primary building block of any organization’s disaster recovery (DR) solution. Not every piece of data that the business owns is treated equally. As a result, having the flexibility to apply the right DR strategy for your business at a granular level is critical, all while operating in a hybrid cloud environment. Cohesity enables enterprise-grade disaster recovery and replication across the datacenter, public cloud and edge. With Cohesity you can have near instant recovery of data from any environment. With Cohesity you can use the same software and platform not just for backup, but also for disaster recovery and make that data productive. Replicate data from a Cohesity cluster on-premises to another on-premises cluster or the public cloud and mitigate against complete failures. Easily use data replicated to an alternate location for other use cases such as test/dev or analytics. Public cloud can offer significant economic benefits and is increasingly looked at as an alternate site for disaster recovery. Easily replicate your on-premises applications and data to the cloud. Avail of bi-directional replication from the public cloud to an on-premises Cohesity cluster should you need it. 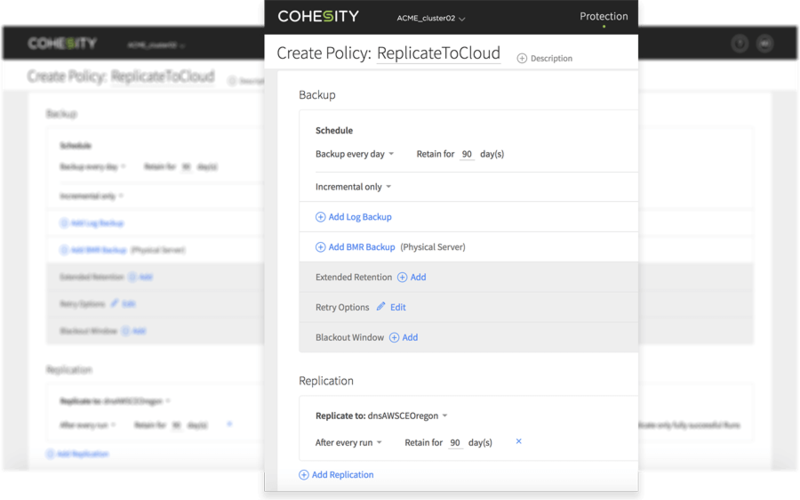 Cohesity’s built in Use CloudReplicate capability allows you to easily replicate data from your an on-premises data center appliance to the public cloud. Choose AWS, Azure or Google Cloud with Cohesity Cloud Edition. When you need it, gain instant recovery of archived data from the cloud to a Cohesity cluster on-premises. Built in CloudRetrieve capability makes this simple. When disaster strikes, you need to remain operational. CloudSpin capability makes it easy to convert on-premises VMs to the cloud for DR. When not operating, you can spin down Cohesity Cloud Edition to keep costs low. Leverage flexible replication topologies including one-to-one, one-to-many, and many-to-one scenarios. Cohesity supports the ability to register multiple DR clusters to the primary cluster. View-based replication enables periodic snapshots from a source cluster to a destination cluster. Replication will always transfer the deltas between the snapshots to the destination cluster. Global dedupe, compression and transfer of change blocks greatly reduce network bandwidth required, which optimizes use of replication. 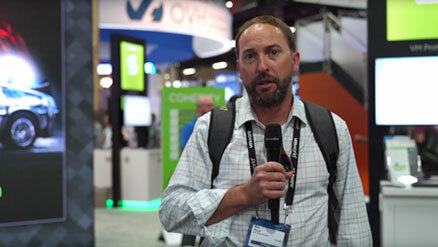 Looking for Enterprise-Grade Disaster Recovery?